2With an electric mixer, whip the cream until stiff; set aside. In a large bowl, beat the eggs for a minute, then slowly add the sugar, beating until the mixture is thick and pale yellow. Beat in the vanilla and lemon zest. 3In another bowl, stir together the flour, baking powder and salt. 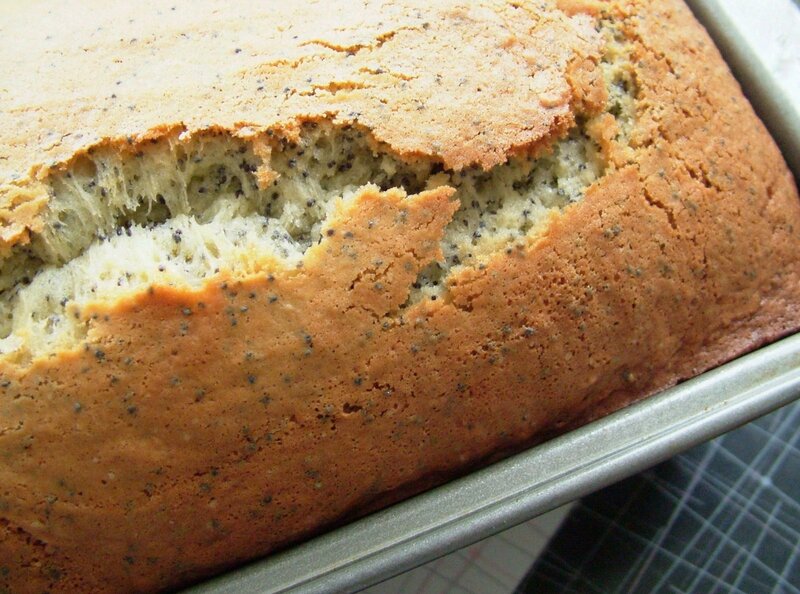 Sprinkle half over the beaten eggs and fold it in with a spatula; then fold in the whipped cream and then the remaining flour, along with the poppyseeds. 4Spread into an 8"x4" loaf pan that has been sprayed with nonstick spray, and bake for 45-50 minutes, until golden and the top is springy to the touch.